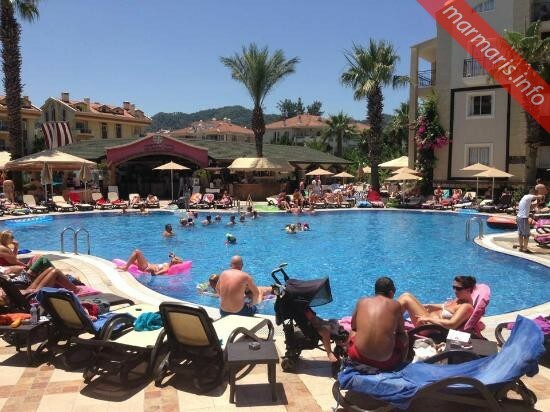 Club Anastasia is a family-friendly apartment located very close to the many resort amenities in Marmaris. The apartment has a bright, homely environment and well equipped with stylish and modern furnishings. 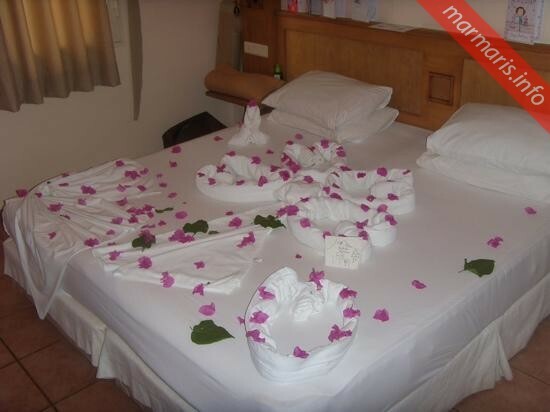 With spacious and well maintained accommodations, the place has a range of fantastic facilities for children as well. With a wide range of facilities on offer, the place has become a well-liked choice among families. 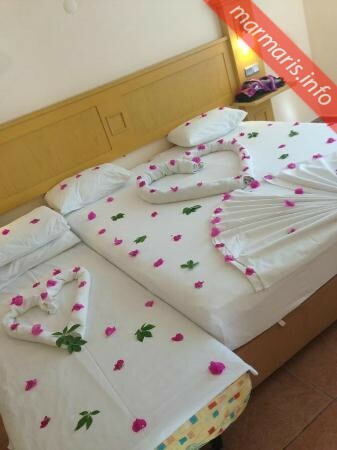 This brilliant and fun packed family apartment is never far from the dazzling nightlife, harbor-side restaurants, bazaars and the shopping centers in Marmaris. The large outdoor pools with sun-loungers and parasols offer visitors a cool place to hang out. The children have their own special space where they can enjoy playing at the kids’ sand pool. Located just 800 meters away from the Sand-and-shingle Beach and just 200 meters away from shops, restaurants and bar area, this stylish apartment provides visitors an ideal base from where they can explore every interesting place in and around the resort town of Marmaris. With a total of 126 rooms to cater the varying needs of travelers, the place has apartments well equipped with sofa beds, individually air conditioned bed rooms, satellite TV and the kitchenettes have their own kettle, fridge and toaster as well. Every apartment has a balcony space or a terrace and each of the shower rooms have a hair drier. The friendly reception in the apartment is open 24-hours a day and the visitors can expect a warm welcome even with late night check-ins. 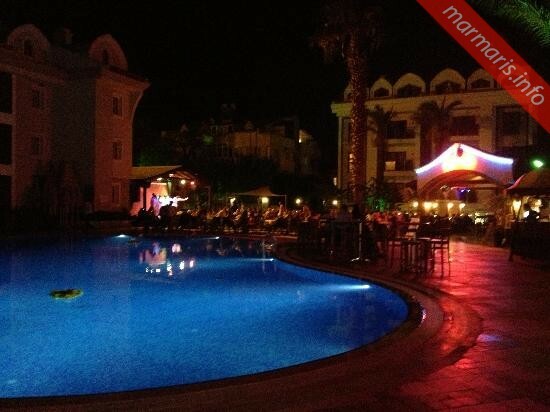 Club Anastasia Marmaris has a beautiful garden, BBQ facilities, a buffet restaurant, à la carte restaurant that serves traditional Turkish dishes apart from Italian and Indian cuisines, a snack bar at the pool area and a nightclub where delicious cocktails are served in the evenings. The apartment also has a small fitness room, space for performing aerobics, a Turkish bath, a hydro massage unit, facilities for playing water polo, table tennis, darts and video games. The children also have a special playground, sandpit, playroom with toys and games. The visitors to this place can enjoy evening entertainment shows leaning in the high back chairs. 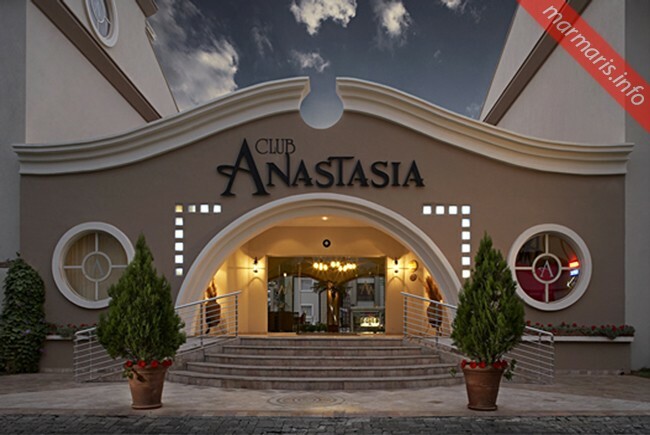 With a blend of Turkish and western comforts, close vicinity to the market area, comprehensive amenities, specialized services, fully furnished and spacious accommodations, Club Anastasia is an appealing place even to the most discerning of the travelers. 24-hour front desk, Express check-in/check-out, Luggage storage, Room service, Airport shuttle, Babysitting/child services, Laundry, Dry cleaning, Barber/beauty shop, Ironing service, Souvenirs/gift shop, Shoeshine, Packed lunches, Car hire, Tour desk, Fax/photocopying,Family rooms, Lift/elevator, Safety deposit box, Heating, Design hotel, Shops in hotel, Air conditioning, Designated smoking area. WiFi is available in public areas and at the reception also internet is free of charge.